The Ikamvanites teamed up with Science Spaza, for a hip-hop competition in celebration of National Science Week at the Bat Centre. A group of 40 Ikamvanites were selected to participate and show off their talents in preparing Hip-hop songs as they worked with Rooted Souls, Science spaza and Dr Sphamandla from UKZN Westville. Dr Sphamandla, as a science lecturer from UKZN, taught the learners about crystals, how they were formed as well as what you can possible use crystals for.. The learners were divided into 7 groups to prepare their songs. 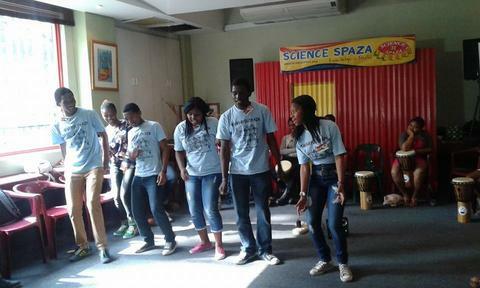 One of the Umlazi Groups had already prepared a song to sing at the Bat Center and performed it for the Science Spaza team. After these awesome performances, Rooted Souls ,and science spaza Team along with Dr Sphamandla were assisting the learners with their rhymes, grammar and if they were sticking to science for their performances on Saturday. Just before lunch as the learners were still at it, IFANI, the SAMA award winning Hip Hop Artist walked in and the learners were over the moon excited. The learners then got an opportunity to sit down and ask him a couple of questions about where he comes from, his inspirations behind his music as well as what he studied. Ifani is not just a musician he is also a computer scientist, who worked as an engineer for 4years. His love for music started at a very young age and he is finally pursuing it. The 7 groups were ready to dazzle the judges with their performances. 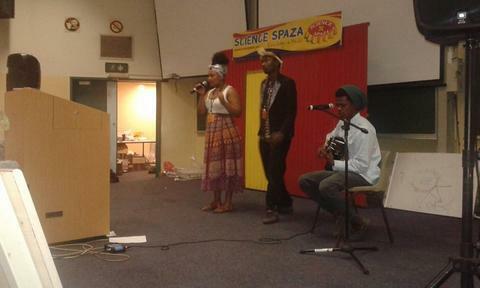 The judges were Hillary from Science Spaza, Dr.Sphamandla and Ifani. The judges were looking for rhythm, energy and does your song get the message across about crystals. Parents, friends and fellow ikamvanites arrived to support the performing groups . The whole event was a success IkamvaYouth is grateful for such an opportunity that Science Spaza provided for the Ikamvanites. We surely hope to work again with them soon. So there we were, Monday morning, June the 30th, in buses from Chesterville and Umlazi all headed to DUT Steve Biko Campus. There was excitement, joy and very high expectations from everyone, learners, staff members and tutors. For those who were joining us for the first time, it was a matter of experiencing the most talked about gathering in the calendar of the IkamvaYouth Organization. 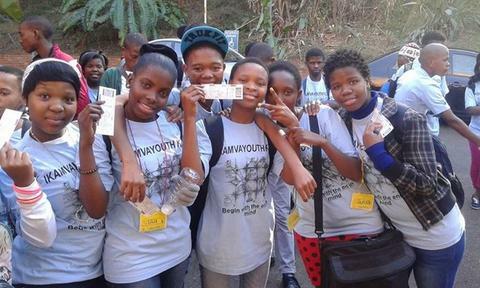 Yes, it was time for the most exciting 2weeks for all Ikamvanites in the KZN region: Winter School. 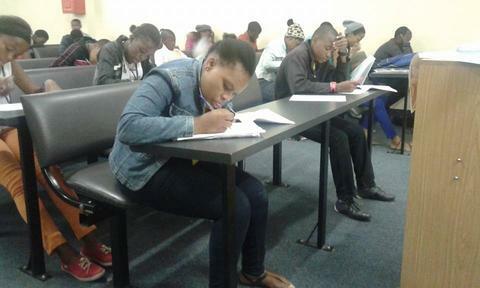 In the morning, Learners had normal tutoring and in the afternoon there were activities. Our very own version of the Amazing Race was amongst those. We had a workshop with learners being encouraged about the importance of working with each other, the importance of listening to one another views amongst other things. While that was running another group of learners were with ASN who conducted some team building activities with the learners and hosted some very educational talks with the learners afterwards about leadership. The activities conducted were really helpful in the sense that the learners really enjoyed working in teams to achieve certain goals. A presentation for the learners about How to save money was done by Capitec. This didn’t just help grow the learners financially but it also made them think a lot about their spending habits, which is always a good start for everyone seeking financial awareness. Experiments, hiphop and live performances got the whole IYKZN team excited and picked up some very fascinating facts about science along with it all thanks to the Science Spaza team. We had graphic Design students, information technology as well as a lot more workshops that were running. Learners also had an opportunity to go to excursions such as Phezulu Safari, Independent Newspapers, UKZN Howard to watch Footloose amongst others. The last day of Winter School is the Health and Wellness Day where learners have an opportunity to play games and take part in health related activities. 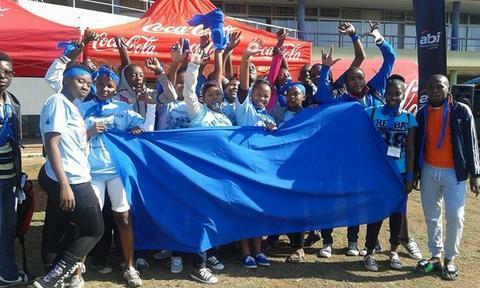 The games that were prepared were sack Race, Netball, Soccer, marbels, uShumpu, Amatshe, Magalobhe and the Relays. Competition was tight. As the games went ABI had music playing and got everyone dancing. The competing teams were red, yellow, orange, green, blue and the purple team. Lunch was served and the winners of the 2014 winter School were the Yellow team. A lot of running around was being done by the tutors and staff members to ensuring a smooth running throughout winter school and the learners’ response towards that hard work put in was nothing less than well received. It wouldn’t have been possible without the help of ABI),the Municipality for providing transport for the learners, the tutors, the facilitators such as Science Spaza, love life , DUT IT students, DUT Graphic Design students, Impucuko, Sam Moodley, ASN, Ithembalabantu and Capitec and Joy Olivier. It truly was a pleasure working with everyone. 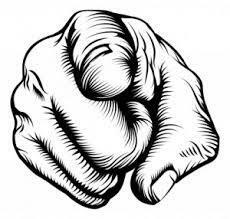 The Cape Town office needs you! IkamvaYouth is looking for a highly motivated, creative thinker to join the Cape Town office and assist with the Community Collaboration project and general administration for at least 3 days a week from September – December 2014. The internship is voluntary, but a stipend will be offered to cover transport costs. IkamvaYouth has a 10 year track record of changing the face of education in townships by enabling disadvantaged youth to pull themselves and each other out of poverty with education. IkamvaYouth now has 10 branches throughout the country and is a by-youth-for-youth South African organisation that equips learners with knowledge, skills, networks and resources to access tertiary education and/or employment opportunities once they matriculate. Learners in Grades 8-12 participate in after-school tutoring, career guidance and mentoring provided by volunteers. Most volunteers are university students and many are ex-learners who have returned to pay-it-forward. The community collaboration project is an initiative that is building a network of organisations who are working in the after-school space and strengthening these programmes through the sharing of resources, ideas and solutions. The ultimate aim is to replicate the impact that IkamvaYouth has had by supporting other organisations to deliver high impact tutoring programmes. The project is in its pilot phase and has a lot of scope for development and expansion. We are therefore looking for an intern who is flexible and eager to run with projects and take initiative to make it happen! You will work with vaious staff members and get introduced to many different aspects of the organisation. Desktop research e.g. learning resources, organisational profiles, education statistics, technology solutions etc. etc. Watch this short animation about our model and impact. Please make sure that you have read about the organisation on our website before submitting an application. If you are interested in this position please email your CV and motivational letter to zoe@ikamvayouth.org by 29th August 2014. Varsity College continues to demonstrate the willingness and wilfulness to partner with IY in our vision for young people’s education in South Africa. Hosting Ikamvanites for the Cell C girl child day in May was only the start. Toward the end of our Winter School in July, the college donated boxes of files, folders, notes and thesauruses for Ikamvanites to use. 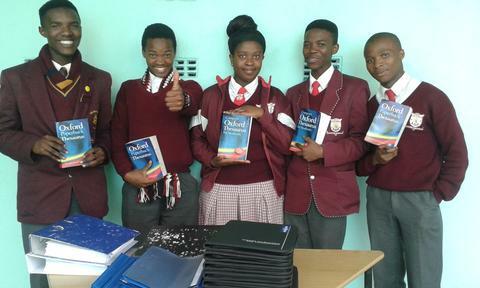 WC and Joza Matrics benefitted from the use of the thesauruses during their matric camp and now WC branches have added to their libraries, which received 7 thesauruses each. 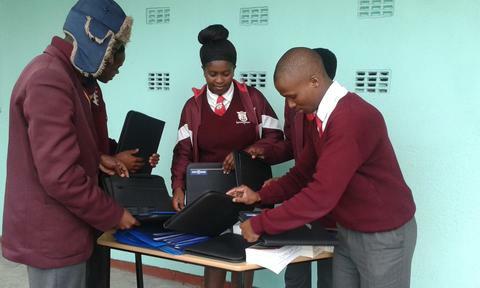 The learners have also received folders in which to store notes, timetables and stationery, and notes on different subjects that have previously been used by Varsity College students. Thank you Varsity College for your generous donation! 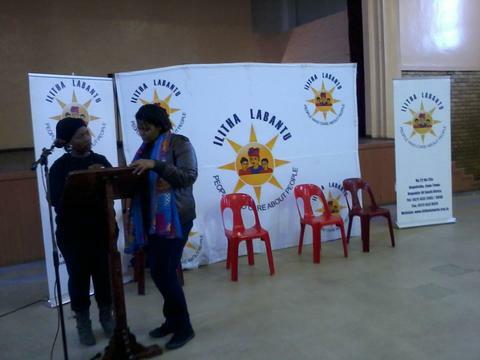 On the 9th of August 2014, IY Nyanga attended a Women’s Day event organised by Ilitha labantu in Gugulethu. 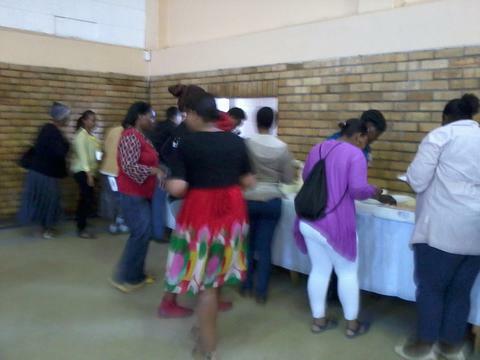 Nyanga branch com’s head of Health and Life skills, Onelisa Qwaka attended the event on behalf of the branch. The theme of the event was ‘Young women emancipating themselves from abusive relationships.’ The day was a mix of activities, including group discussions, presentations, and individual opinion sharing. The ladies got a platform to outline the challenges women face in the different environments, such as school, work, home and on the street. A number of issues came up, including teenage pregnancy, substance abuse, crime and gangsterism and child abuse. After outlining the different issues affecting women, the women did mini workshops to find solutions for the challenges. Key lessons garnered from this exercise were that women abuse is everyone’s problem and communities should unite in fighting it. The group also identified certain tools that can be used to fight abuse and some were as follows: introspection, reporting abuse, educating women about their rights and trusting one’s instincts. or inviting IkamvaYouth to this important workshop. IY JOINS THE COMMUNITY IN SAYING NO TO WOMEN ABUSE!